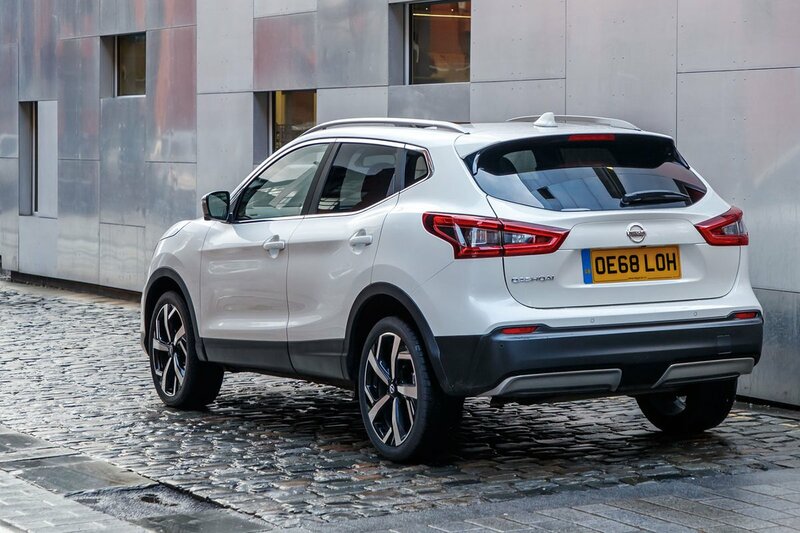 Nissan Qashqai Boot Space, Size, Seats | What Car? There’s decent space for adults in the front of most Qashqais, with more than enough head room for six-footers to sit in comfort. We say ‘most’ because it’s worth remembering that the panoramic glass roof that’s standard on Tekna+ and optional on other trims eats into head room significantly. Leg room, meanwhile, is fine but not class-leading. Oddment space includes a deep glovebox, a pair of cupholders just ahead of the central armrest and door bins that can each accommodate a large drinks bottle. The storage area ahead of the gearlever isn’t as useful as it could be, however, because a fair bit of space is taken up by a 12V socket and the switch for the electric parking brake. The Qashqai’s rear seats are reasonably roomy by family SUV standards, with lots of head room (especially if you avoid versions with a panoramic roof) and a fair amount of knee room. 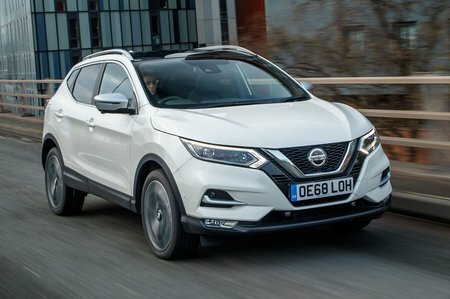 In both respects, the Qashqai is roughly on a par with the Skoda Karoq and two grown-ups will be comfortable in the back on longer trips, although anybody taller than six feet will probably find their knees brushing the seat in front – especially if there’s someone equally lofty sitting in the seat in front. 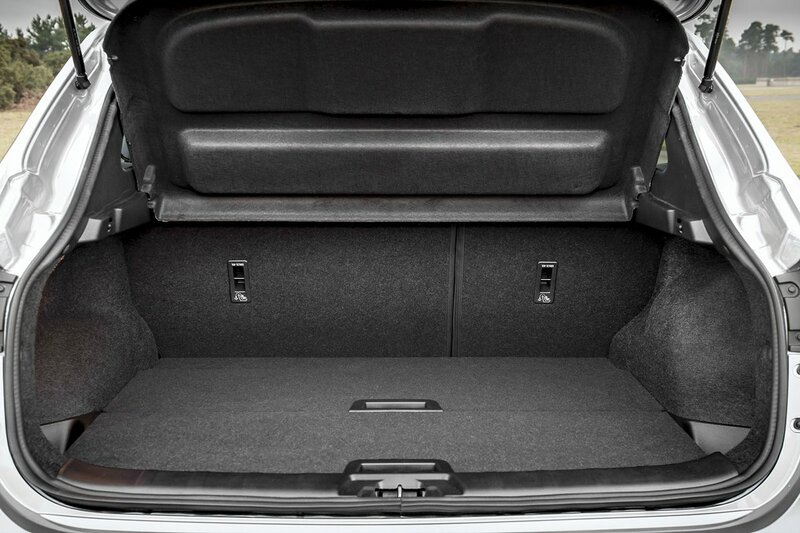 There isn’t much in the way of storage space in this row, though – the rear door pockets are pretty pokey. There’s nothing particularly novel about the Qashqai’s seats. In the front, Acenta Premium trim and up get a height-adjustable passenger seat and, in the rear, a folding centre armrest. The rear seats fold down in a 60/40 split, rather than the more versatile 40/20/40 arrangement offered in some rivals, and they don’t do anything else clever, such as sliding back and forth or reclining. Not only does the Karoq offer that option, but also allows you to remove its rear seats entirely. You don’t get super-convenient 'remote' handles in the boot to lower the rear seatbacks like you do in some rivals (such as the Seat Ateca), either; you have to release catches on the top of the rear seats before hauling the seatback forward. There’s enough room for the weekly shopping or a couple of sets of golf clubs. However, for outright boot space, the Qashqai is heavily outclassed by the Skoda Karoq which, in our tests, managed to hold nine carry-on suitcases below its parcel shelf, compared with the Qashqai’s six. All but entry-level Visia models come with a false boot floor which is useful in several ways. You can raise it to create separate underfloor storage, with the bonus that its upper position smoothes out the tailgate loading lip and the step created when you fold down the rear seats. You can also slot one of the floor sections in vertically halfway along the boot to create a divider that stops your shopping bags from flying around.